I laughed and bought a bigger price sheet. We kept making those nontoxic cleaners and in 2003 we created the first USDA nontoxic cleaning product formulated specially for Yoga Mats. Other sprays and concentrates followed, many with USDA organic certification from VOF. 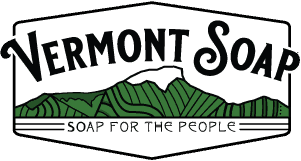 Natural cleaning products are now a multi-million dollar business, and Vermont Soap still makes the cleanest, most natural ones of all. Stay ahead of the organic trend curve with certified organic spray cleaners customized to fit your project. Safe, natural, nontoxic and effective. Available with and without the organic seal.